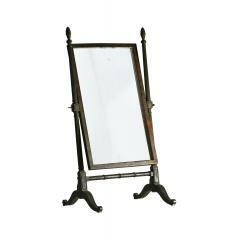 "Often called looking glasses, mirrors can make a room feel larger and present a reflection in grand or demure way. 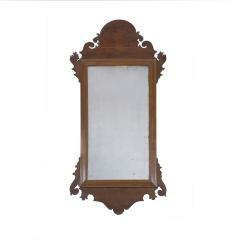 If there is a mirror you are looking for and do not see, please call or email, we may not have cataloged it yet." Has a gilded inner liner and a gilded shell above. The glass is in two parts. A fine looking glass with nicely scrolled top and base. It has a Wayne and Biddle label on back. 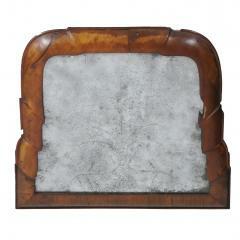 This is a very charming upper section of a looking glass with convex frame and glass with cut and engraved design. A rare and desirable example of Queen Anne cabinet making. 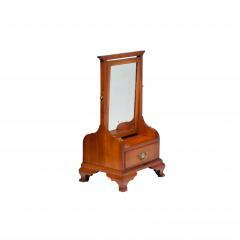 This "looking glass" has a walnut veneer with gold gilded spandrels on the sides and a gold gilded carved liner. 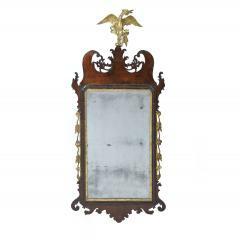 A fine example of a Chippendale "looking glass" with pierced and scrolled crest and gilded swags at the sides. It also has a gilded liner and molded edges. It has pine (backboards). 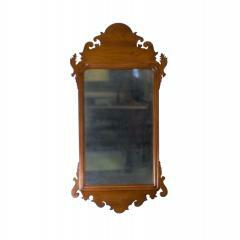 Looking glass with arched crest, scrolled brackets, molded frame and original glass.